VFE Pedals is a boutique effects pedal company located in Tacoma, WA. VFE Pedals specializes in hand-made, compact, versatile, affordable, and great sounding effects pedals. VFE founder Peter Rutter also teaches math, circuit and speaker design at IDEA high school. Several months later I had the silly idea to offer a fully customized pedal building service, which I advertised on eBay. I quickly discovered why no one else did this, as I worked long hours for little pay -- I calculated it to be less than $1 an hour on some pedals. I decided that I needed to teach myself how to design printed circuit boards if I were to continue building pedals. My very first design was called the Proto OD, and it was a simple, stripped-down version of a Tubescreamer with an added “FAT” control. I sold 25 of them for about $50-$60 on eBay. Over the next year, I developed many new effects and refined several circuits, laying the framework for the compact 6-control layout that VFE is known for. I was doing all this while working full-time as a high school math teacher and working on my Master’s in Teaching. Sometimes the best opportunities come out of misfortune. When my brother lost his job in the fall of 2009, he began to help me build more pedals than I could before. Without his help, VFE Pedals would not exist. VFE stands for “VonRutter Family Effects”, as this company was born out of the labor and support of my family. My expectation was that in a few years it would grow enough to be my full time job. However, my wife and I were compelled to learn to live a more flexible & generous lifestyle, rather than have all my time consumed in teaching. I stepped away from a teaching position I held for five wonderful years in order to build this business long before I expected too. At that time VFE was merely a hobby and provided zero income, so this was a huge risk. My last paycheck from teaching came in early September, and we didn't have much savings to live off of. VFE did not turn a profit all summer, but September was a huge success, right when we needed it to be, and provided enough income to pay our bills and continue to expand VFE Pedals. After six years of designing and building pedals full time, I have returned to full time teaching at IDEA, an innovative high school in Tacoma. This transition has scaled VFE way down - which gave me the opportunity to use everything I've learned to create a new, simpler product line that is better in every way. 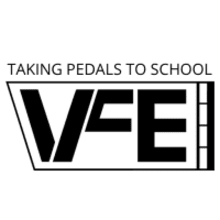 Thank you for your support of VFE Pedals over the years! I look forward to the next chapter in this journey.